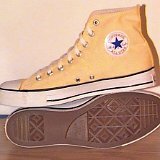 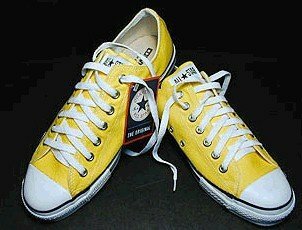 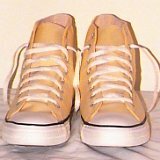 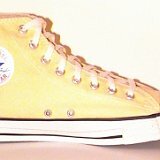 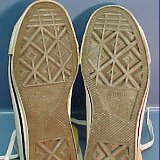 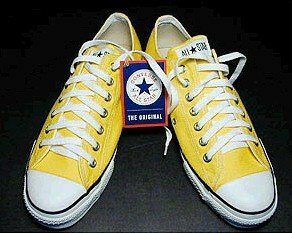 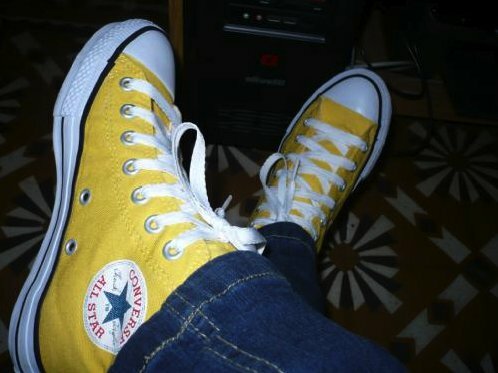 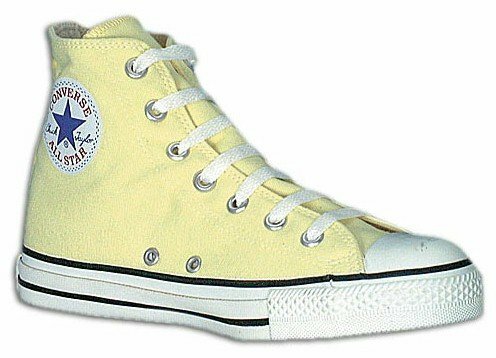 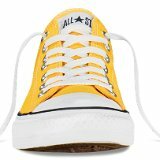 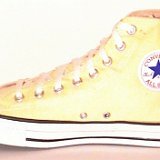 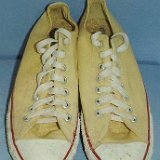 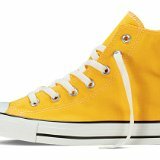 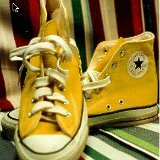 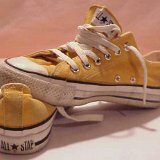 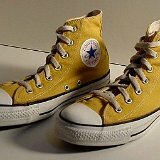 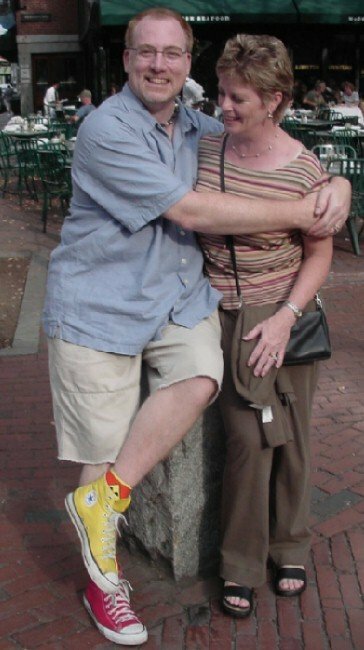 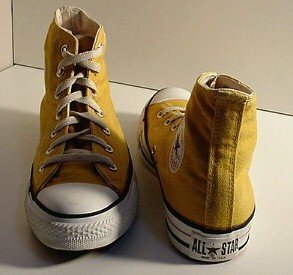 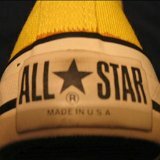 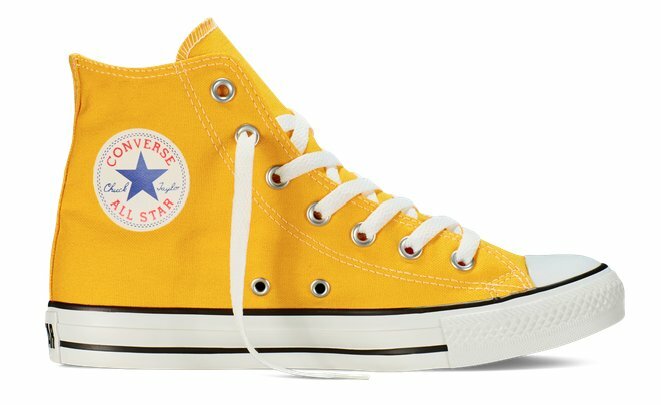 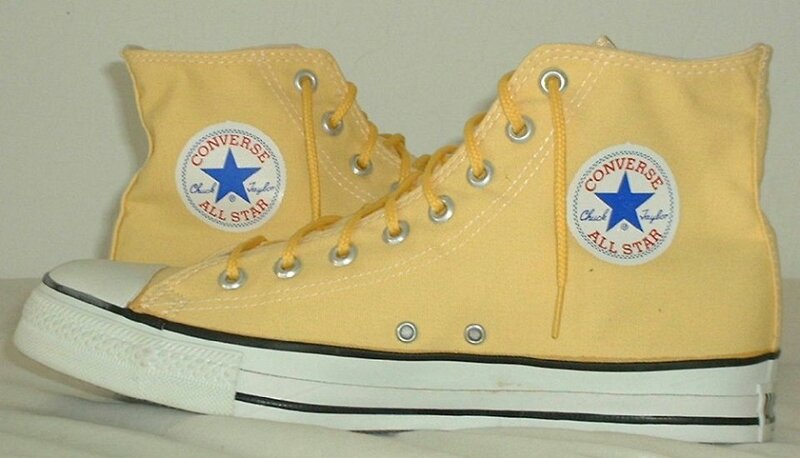 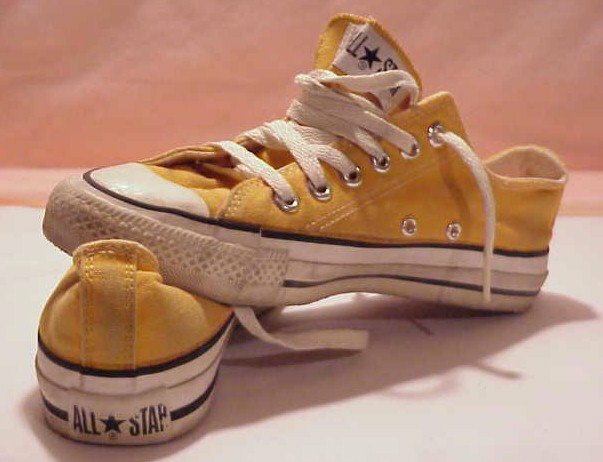 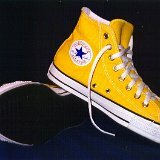 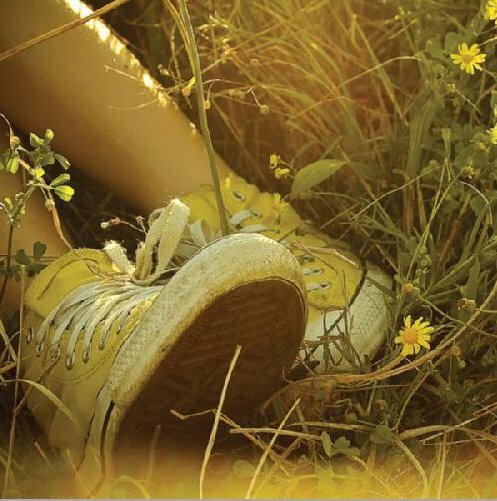 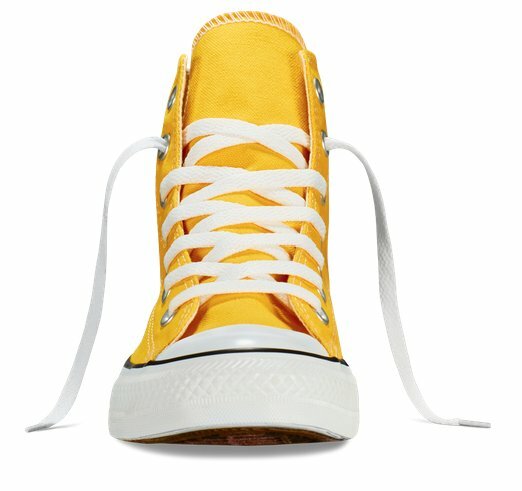 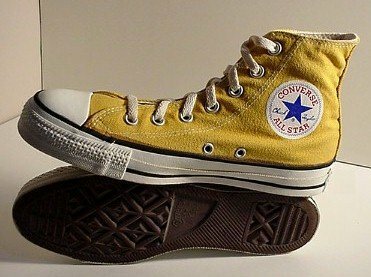 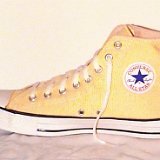 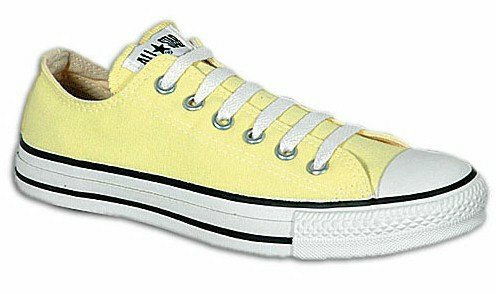 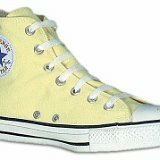 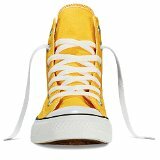 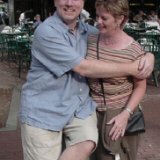 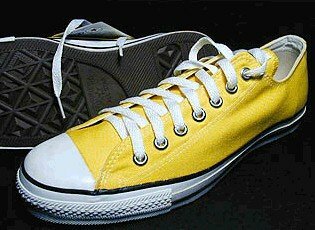 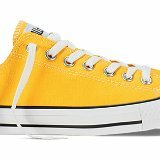 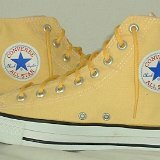 Photo gallery of high top and low cut chucks with yellow uppers. 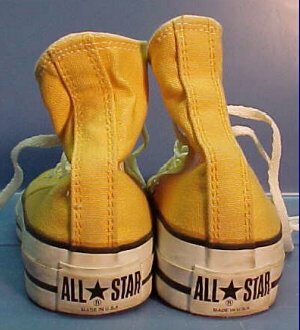 1 Yellow Chucks Inside patch views of banana high top chucks. 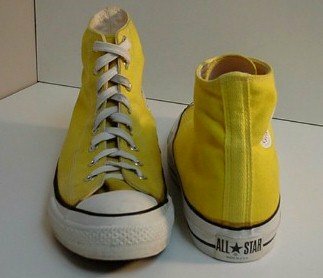 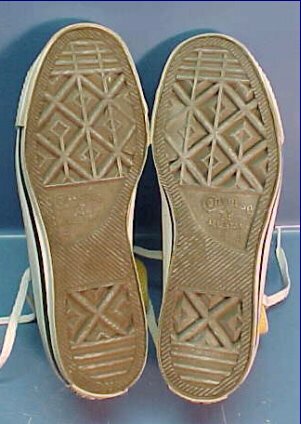 2 Yellow Chucks Inside patch and sole views of banana high top chucks. 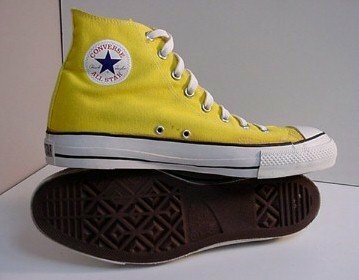 3 Yellow Chucks Left side view of banana high top chucks. 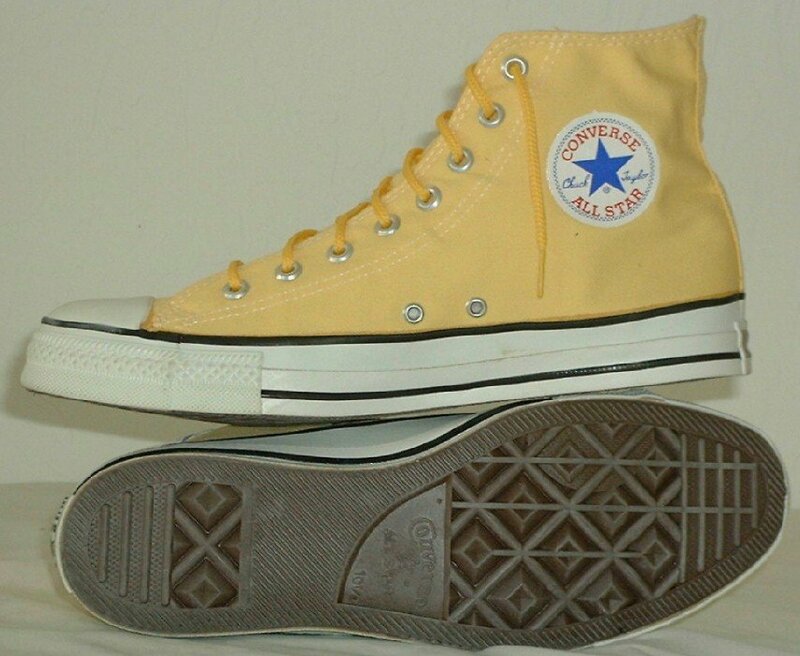 4 Yellow Chucks Inside patch view of a right banana high top chuck. 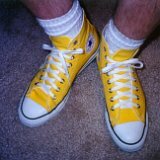 5 Yellow Chucks Rear view of banana high top chucks. 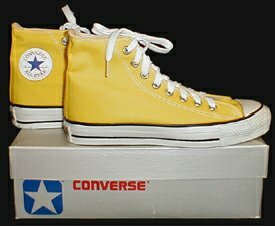 6 Yellow Chucks Front view of banana high top chucks. 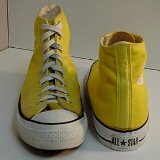 7 Yellow Chucks Left side view of banana high top chucks. 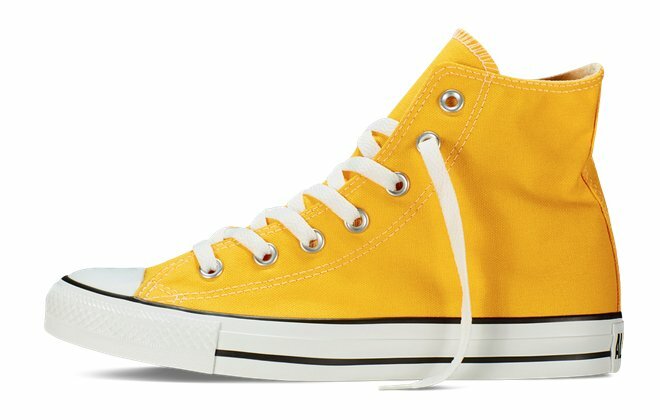 8 Yellow Chucks Angled front view of banana high top chucks. 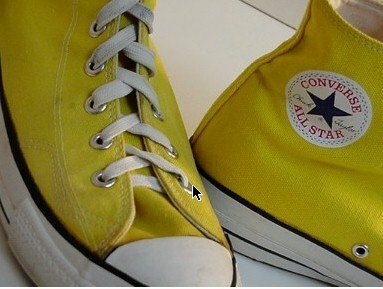 9 Yellow Chucks Inside patch view of a left banana high top chuck. 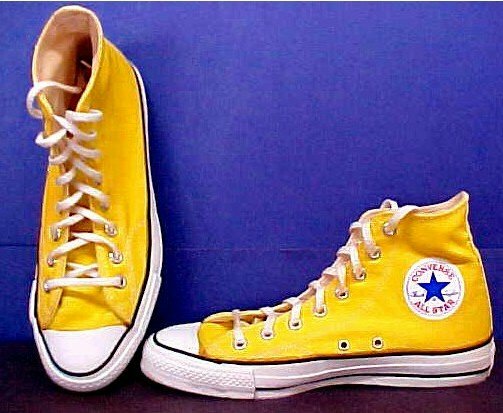 10 Yellow Chucks Inside patch view of a right banana high top chuck. 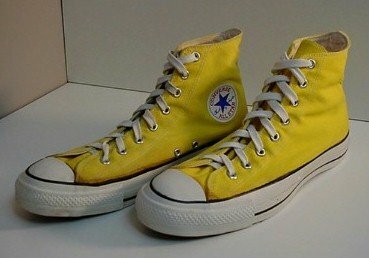 11 Yellow Chucks Inside patch and rear views of banana high top chucks. 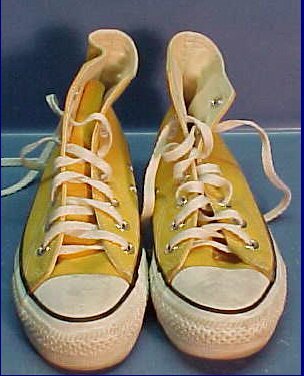 12 Yellow Chucks Inside patch view of a right banana high top chuck. 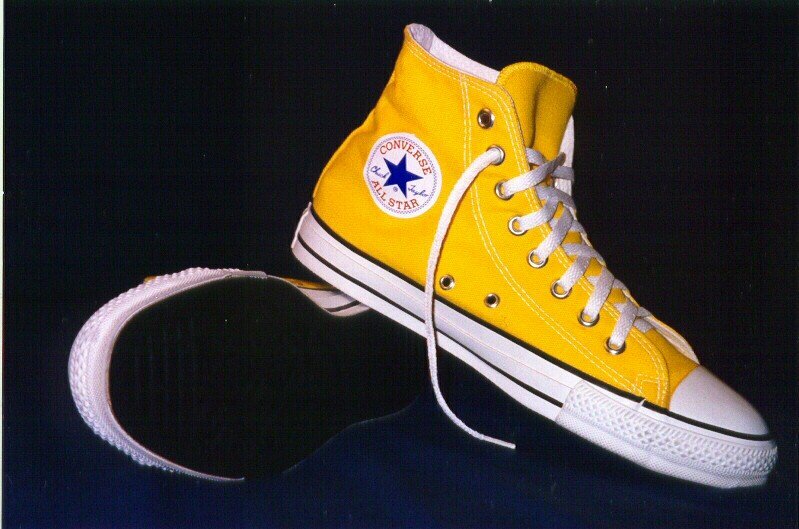 13 Yellow Chucks Inside patch view of a left banana high top chuck. 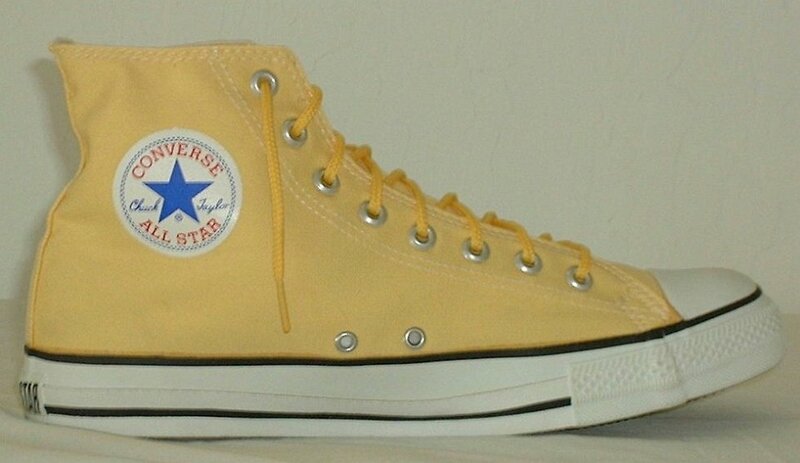 14 Yellow Chucks Inside patch view of a left banana high top chuck. 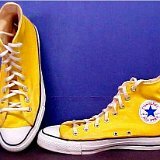 15 Yellow Chucks Front view of banana high top chucks. 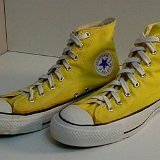 16 Yellow Chucks Right side view of banana high top chucks. 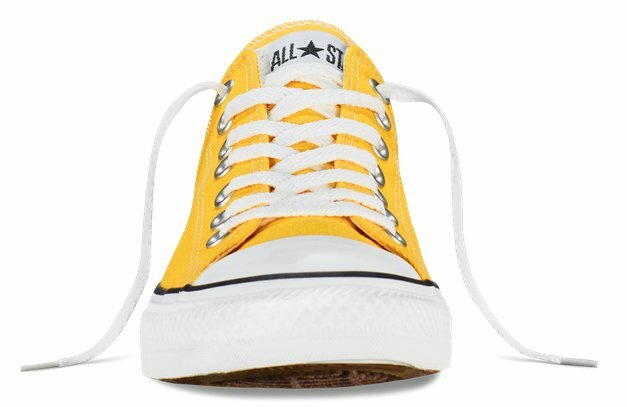 17 Yellow Chucks Inside patch view of a left banana high top chuck. 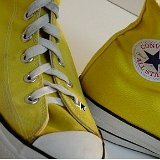 18 Yellow Chucks Inside patch views of banana high top chucks. 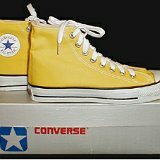 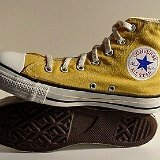 19 Yellow Chucks Angled front view of banana high top chucks. 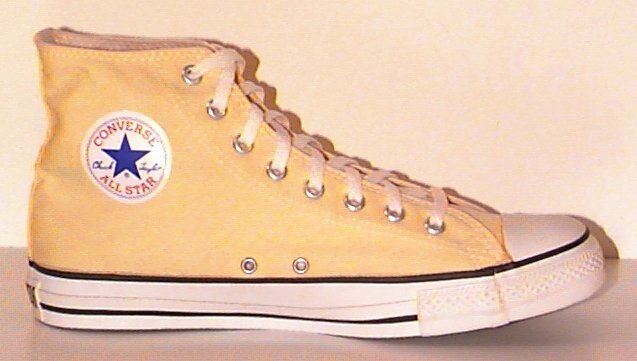 20 Yellow Chucks Inside patch and sole views of banana high top chucks. 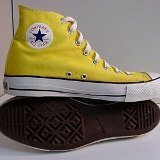 21 Yellow Chucks Top view of banana high top chucks. 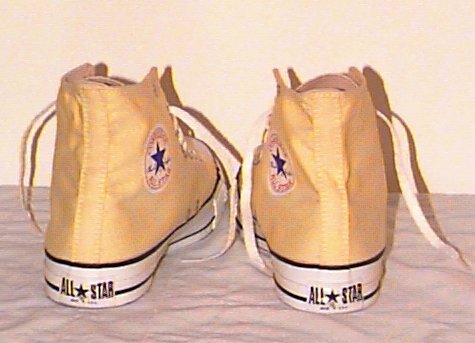 22 Yellow Chucks Rear and side view of gold low cut chucks. 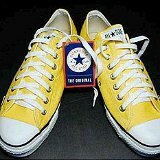 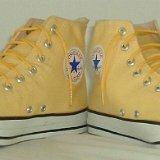 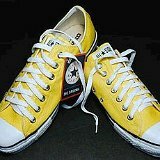 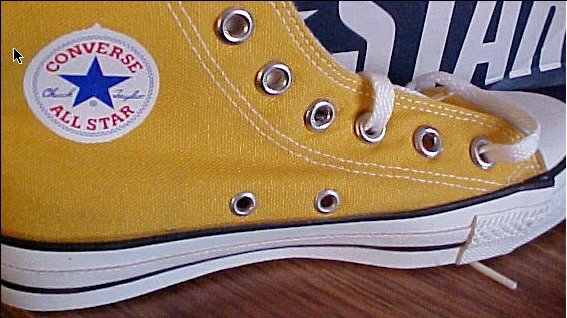 24 Yellow Chucks Outside view of a left lemon chrome high top. 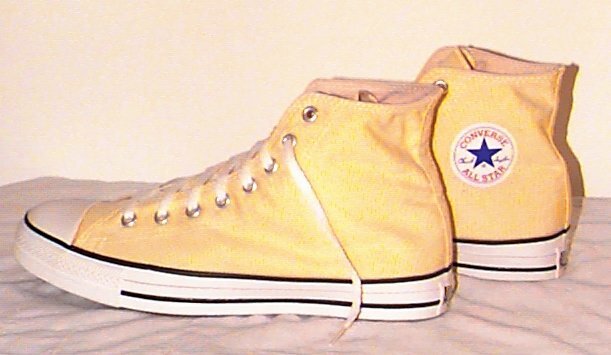 25 Yellow Chucks Front view of a left lemon chrome high top. 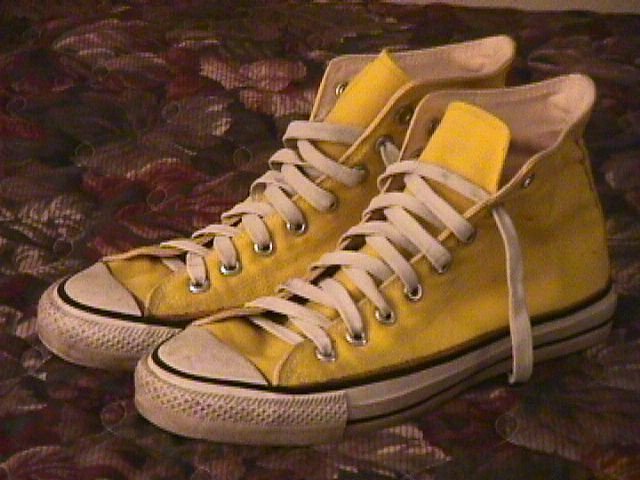 26 Yellow Chucks Rear view of a left lemon chrome high top. 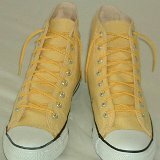 27 Yellow Chucks Outside view of a right lemon chrome low cut oxford. 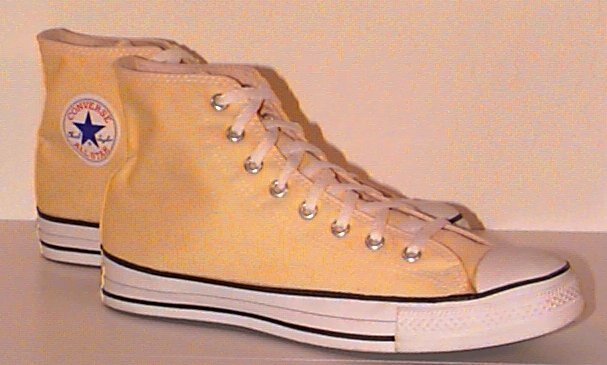 28 Yellow Chucks Front view of a right lemon chrome low cut oxford. 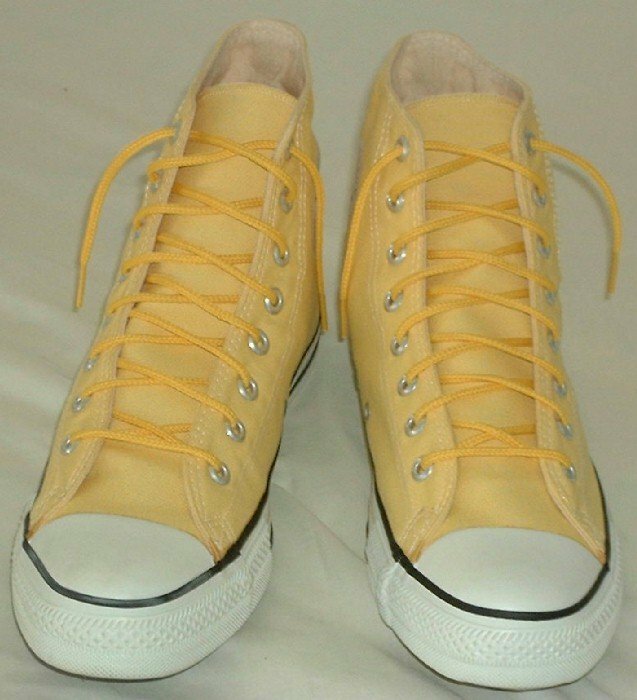 29 Yellow Chucks Angled side views of mustard high top chucks. 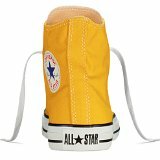 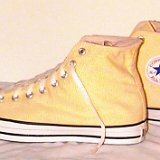 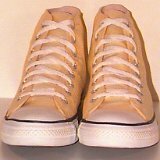 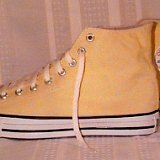 30 Yellow Chucks Front and rear views of mustard high top chucks. 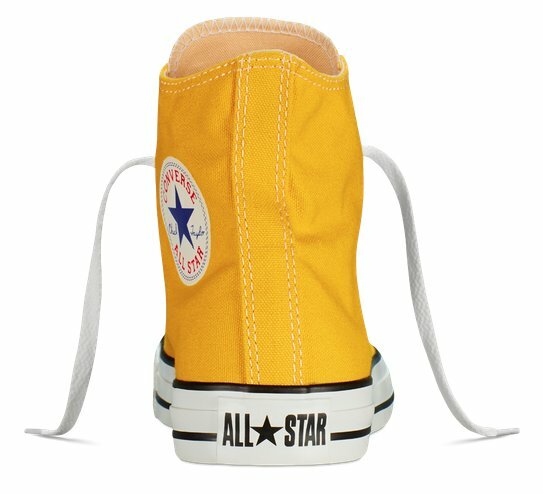 31 Yellow Chucks Inside patch and sole views of mustard high top chucks. 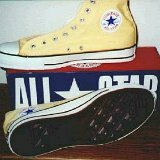 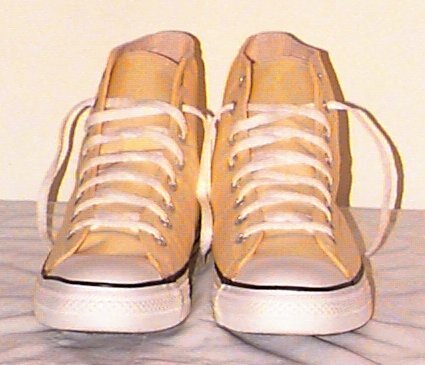 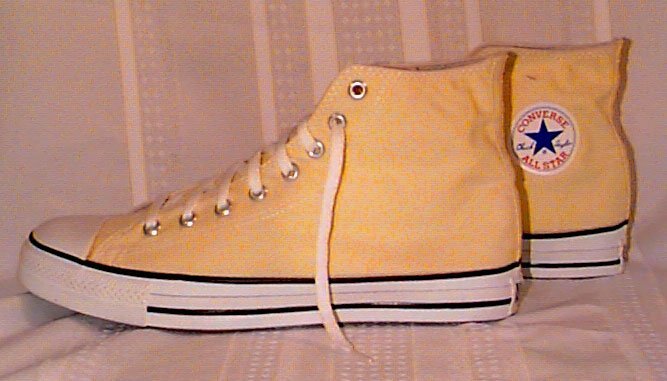 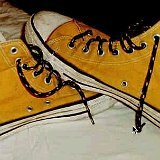 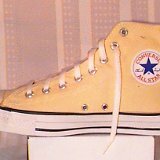 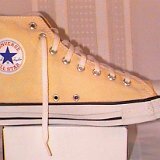 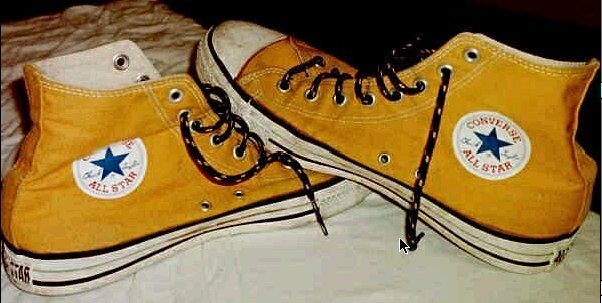 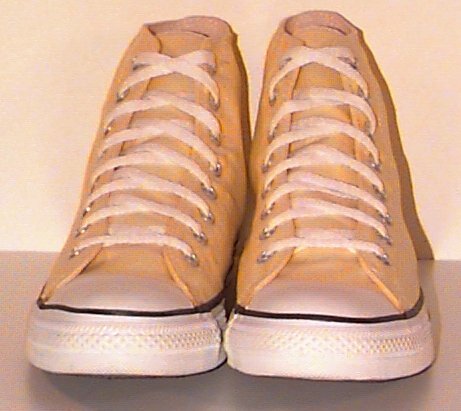 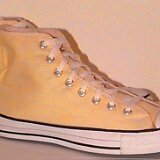 33 Yellow Chucks Angled side view of a pale yellow left high top. 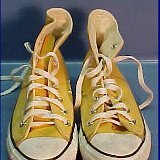 34 Yellow Chucks Angled side view of a pale yellow right low cut chuck. 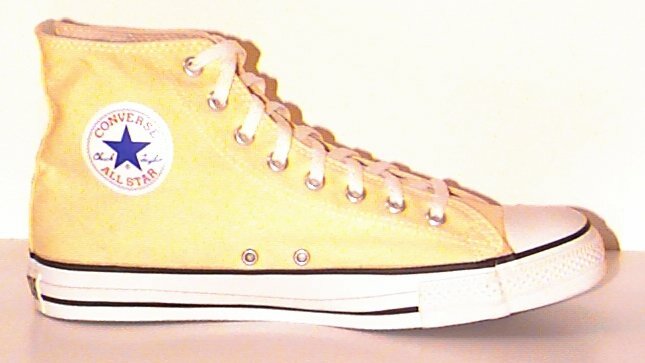 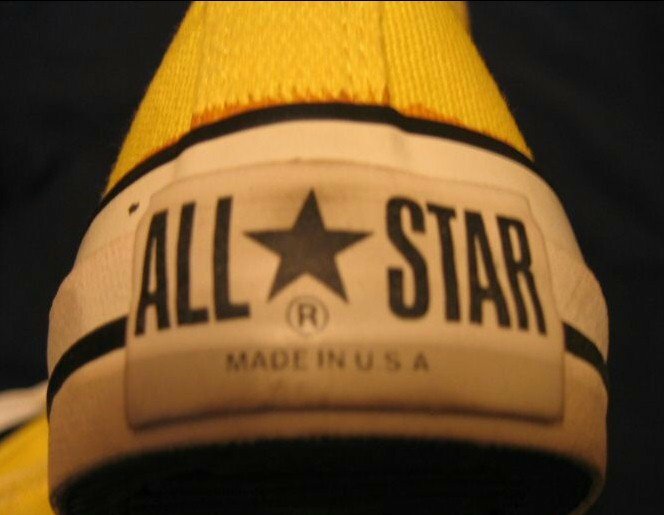 35 Yellow Chucks Wearing yellow high tops, top view. 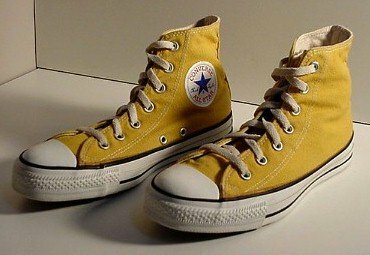 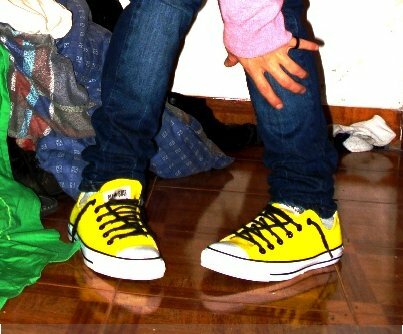 36 Yellow Chucks Wearing yellow high tops, top view. 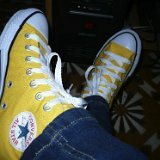 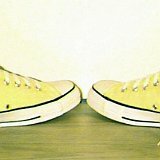 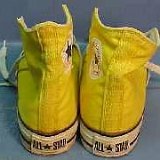 37 Yellow Chucks Wearing yellow high tops, top and sole views. 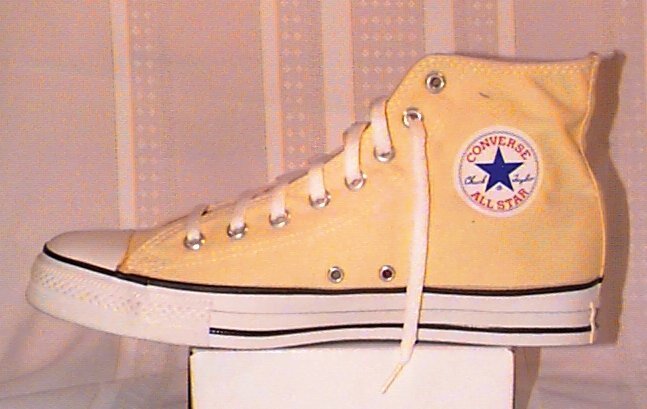 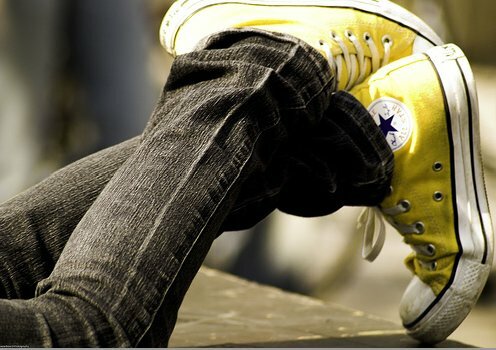 38 Yellow Chucks Wearing yellow high tops, top view. 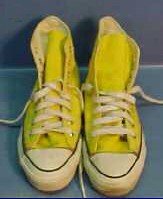 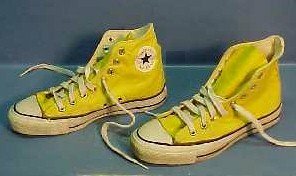 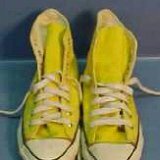 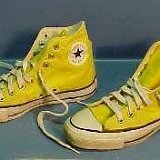 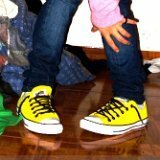 39 Yellow Chucks Wearing neon yellow low cut chucks with black shoelaces, front view. 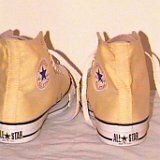 40 Yellow Chucks Front and inside patch views of gold high top chucks. 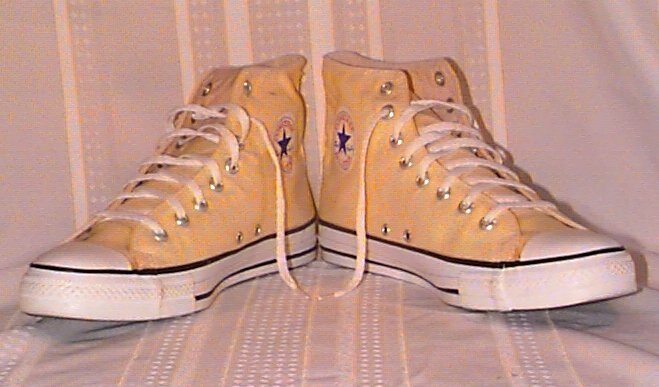 41 Yellow Chucks Inside patch view of a left gold high top chuck. 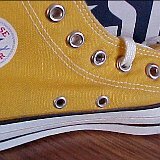 42 Yellow Chucks Inside patch view of a left gold high top chuck. 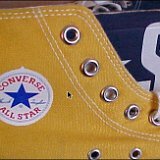 43 Yellow Chucks Inside patch view of gold high top chucks black shoelaces. 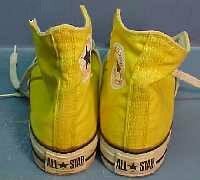 44 Yellow Chucks Inside patch and sole views of yellow high top chucks. 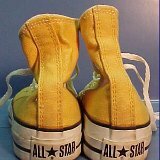 45 Yellow Chucks Angled side view of yellow high top chucks. 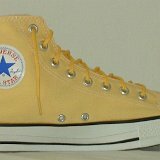 46 Yellow Chucks Angled side view of yellow high top chucks. 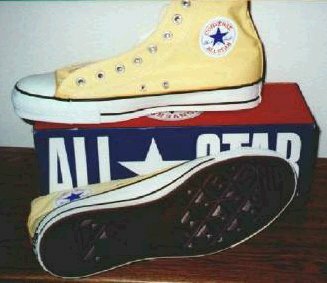 47 Yellow Chucks Left side view of yellow high top chucks. 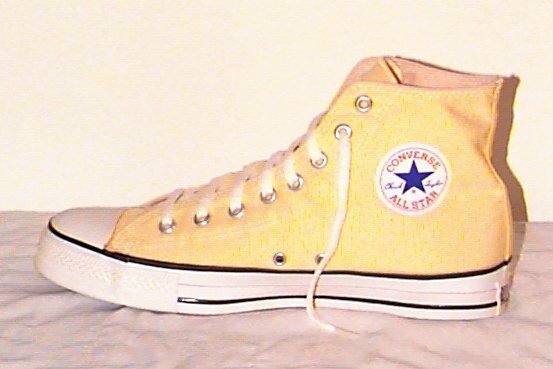 48 Yellow Chucks Top view of yellow high top chucks. 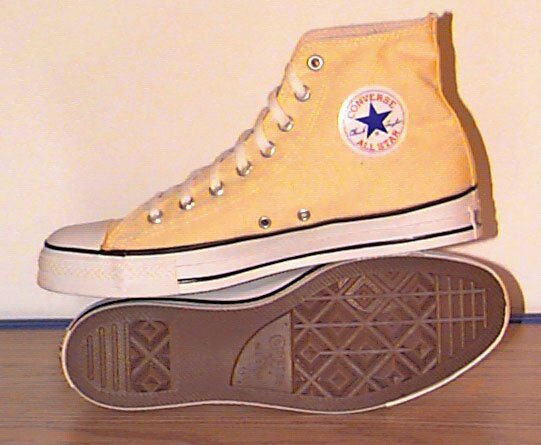 49 Yellow Chucks Sole view of yellow high top chucks. 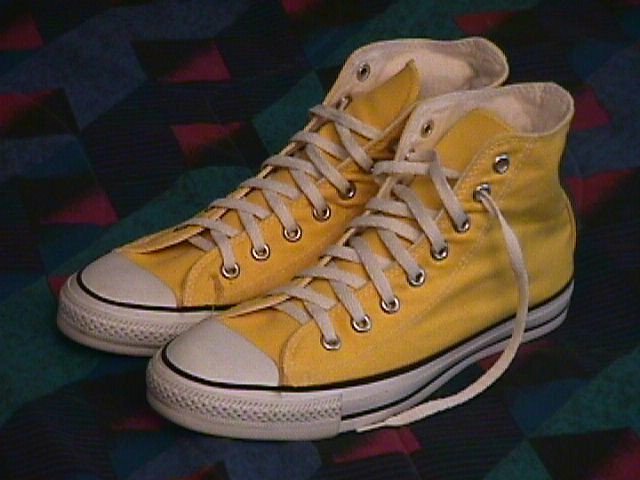 50 Yellow Chucks Rear view of yellow high top chucks. 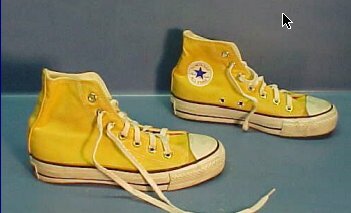 51 Yellow Chucks Right side view of vintage yellow high top chucks. 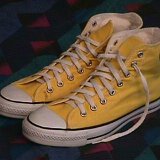 52 Yellow Chucks Top view of vintage yellow high top chucks. 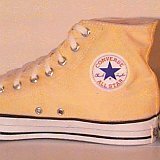 53 Yellow Chucks Inside patch views of vintage yellow high top chucks. 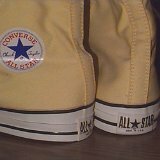 54 Yellow Chucks Partial rear and inside patch views of vintage yellow high top chucks. 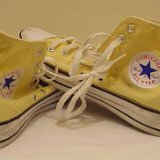 55 Yellow Chucks Inside patch views of vintage yellow high top chucks. 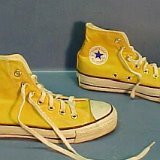 56 Yellow Chucks Angled side view of vintage yellow high top chucks. 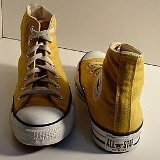 57 Yellow Chucks Front and rear views of vintage yellow high top chucks. 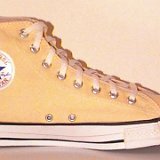 58 Yellow Chucks Partial top and inside ptach views of yellow high top chucks. 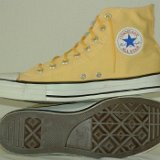 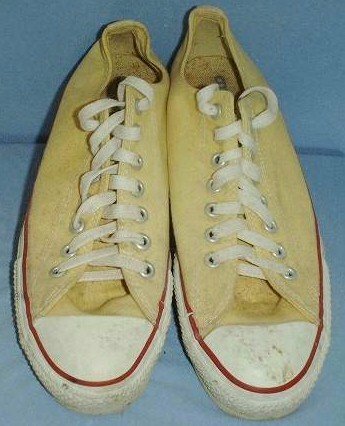 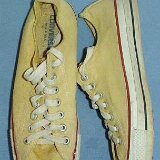 59 Yellow Chucks Inside patch and sole views of vintage yellow high top chucks. 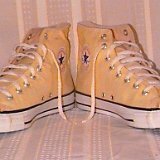 60 Yellow Chucks Left side view of vintage yellow high top chucks. 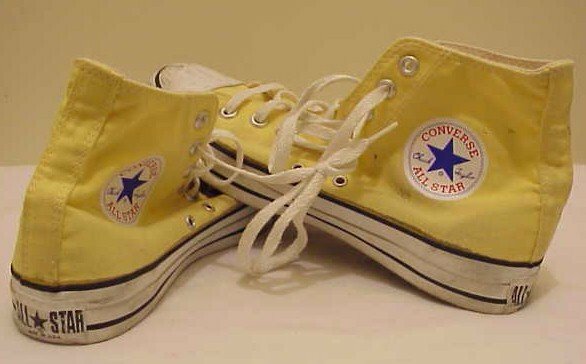 61 Yellow Chucks Top view of vintage yellow high top chucks. 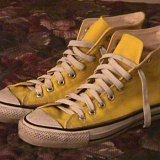 62 Yellow Chucks Rear view of vintage yellow high top chucks. 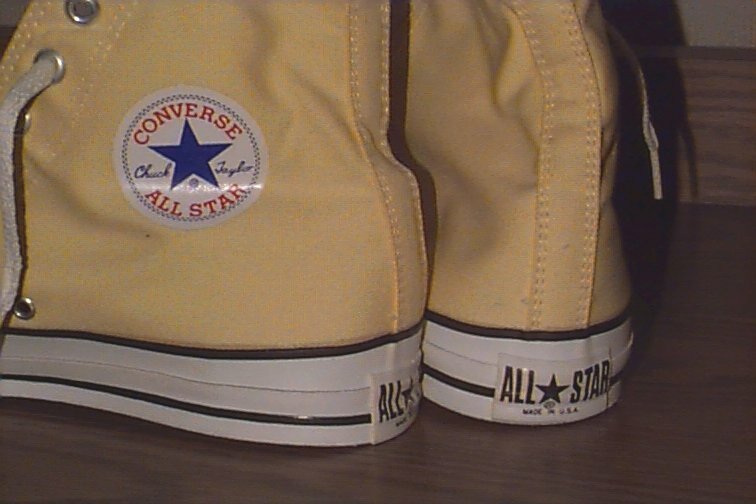 63 Yellow Chucks Top and inside patch view of yellow high top chucks. 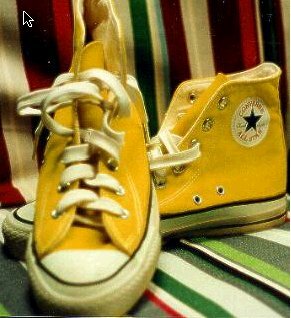 64 Yellow Chucks Rear view of a vintage yellow high top chuck. 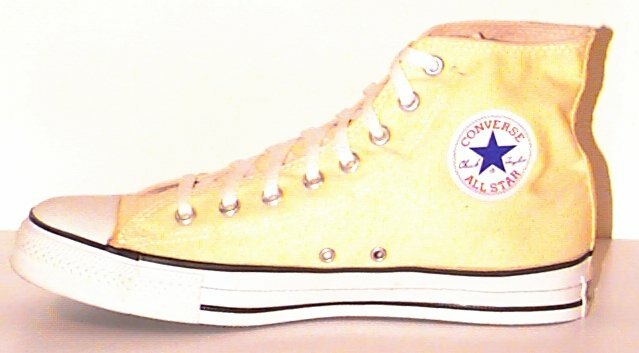 65 Yellow Chucks Top view of yellow low cut chucks. 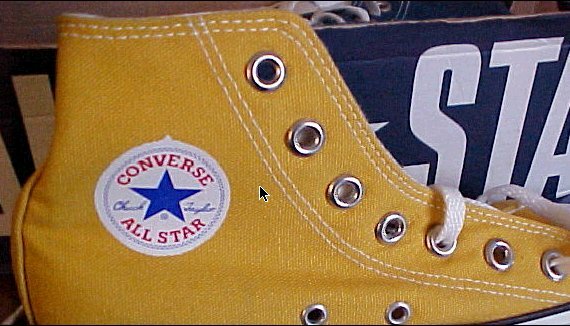 66 Yellow Chucks Side and sole views of yellow low cut chucks. 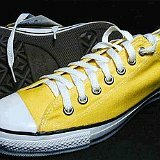 67 Yellow Chucks Angled top view of yellow low cut chucks. 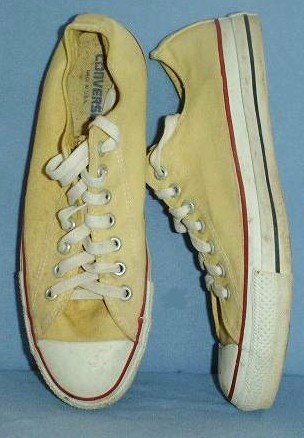 68 Yellow Chucks Top and side views of vintage yellow low cut chucks. 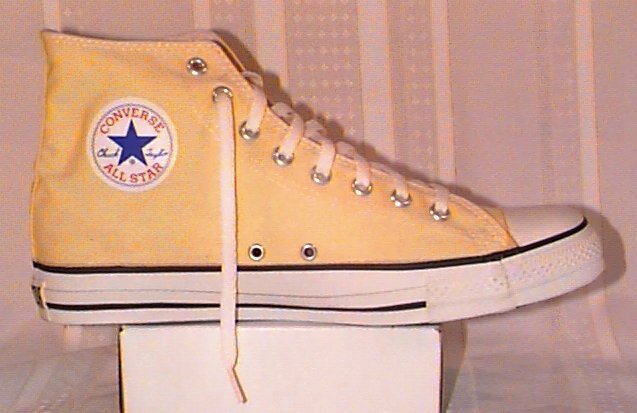 69 Yellow Chucks Top view of vintage yellow low cut chucks. 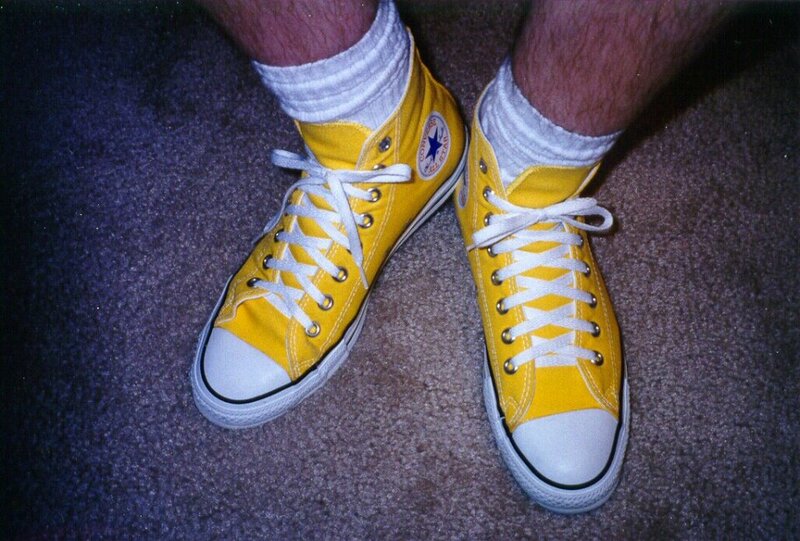 70 Yellow Chucks Man wearing mismatched yellow and red high top chucks.